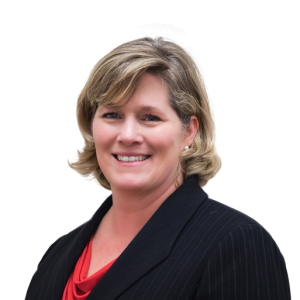 Joy Davis is a former Olympic Trial Qualifying, Division I NCAA All American Swimmer who now practices family law, criminal defense, and personal injury law across the Upstate. Prior to joining the firm in 2007, Joy was a prosecutor with the Seventh Circuit Solicitor’s (District Attorney) Office (Spartanburg and Cherokee Counties) and then the Tenth Circuit Solicitor’s Office (Anderson and Oconee Counties). Joy’s last three and one-half years as a prosecutor were spent handling all the child and elderly abuse cases in Anderson and Oconee Counties. Prior to specializing in child and elderly abuse cases, Joy handled a wide range of misdemeanor and felony cases, both violent and non-violent, including white-collar crimes (embezzlement, forgery, breach of trust, obtaining goods under false pretenses, thefts, etc. ), drug crimes, driving offenses, burglaries, and numerous other type cases. The years Joy spent as a prosecutor were on the heels of her success as a decorated college athlete. In addition to being an Olympic Trial Qualifier and Division I NCAA All-American Swimmer, Joy was a Four-Year Scholarship Swimmer. She won countless events and titles, including Mid-American Conference Athlete of the Year as a Freshman, Academic All-American, Ohio University Senior Athlete of the Year, and was the first female swimmer ever inducted into the Ohio University Hall of Fame in 1997. The year after Joy graduated college, her coach was asked what he missed most about Joy. Her coach replied that he missed Joy because he knew no matter in which event he put her, she would win. Joy’s coach described her as someone who hated losing more than she loved winning. Life as a swimmer taught Joy the value of hard work and determination. She learned at a young age that hard work pays off. Swimming took an incredible amount of self-discipline and hard work. The hard work it took Joy to become such a successful swimmer taught her perseverance, persistence, and determination. This same attitude has helped Joy become a successful attorney. Joy earned her Juris Doctorate Degree at the University of South Carolina School of Law, graduating in 1995. Joy’s hard work helped earn her a coveted one-year clerkship in both state court and federal court. Joy clerked for the late Honorable James W. Johnson, Jr., Resident Circuit Judge for the Eighth Judicial Circuit of South Carolina; and the Honorable William M. Catoe, Jr., Federal Magistrate Judge for the District of South Carolina. After prosecuting criminal cases for many years, Joy entered private practice in 2007. In 2012, Joy and one of her law partners, Druanne White, formed the White, Davis & White Law Firm. Joy focuses her practice on criminal defense, family law, and personal injury-type cases. She is licensed to practice in state and federal courts in South Carolina. In 2016, Joy was recognized by the National Trial Lawyers as being amongst the Top 100 Lawyers for Criminal Defense. In 2017, she was recognized as one of America’s Top 100 Criminal Defense Lawyers for South Carolina. Also in 2017, Joy received a Lifetime Achievement award for being one of America’s Top 100 Attorneys. Joy and her husband Dodd, who is also a lawyer, have four children. Joy and her family are active members of Fairview Baptist Church located in Greer, South Carolina. Joy and her family are involved in mission work locally and internationally. Joy can be reached by telephone at (864) 231-8090 or by email at joy@wdwlawfirm.com.